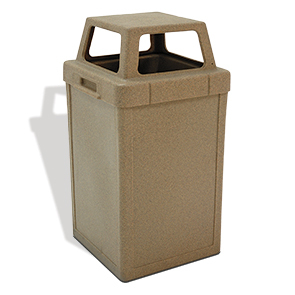 The versatile 24 gallon Tuffy Receptacle is the perfect balance of toughness and rigidity to help keep properties clean, safe and inviting. Constructed from impact and weather resistant polyethylene, these receptacle will not rust, stain, chip or dent from high volume use. It is highly resilient and exceptionally rated for long term weatherability (UV8) and environmental stress and crack resistance (ESCR), serving indoor and outdoor spaces well. 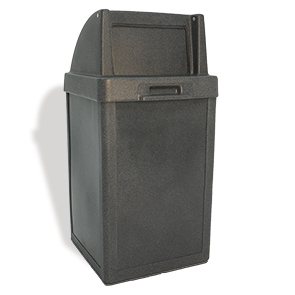 These receptacles feature various polyethylene lid options for to meet the various needs of an organized waste management program.